apparently came very close to completing his film, but told Spinner in September 2009, "Profound creative differences emerged in the course of the editing. I ended up with a film I adore but unfortunately my love is not shared by the people who paid for it. So we have all got our heads together to find the most positive way to deal with that impasse. I hope we do because I loved making it." documentary filmmaker Humphrey Jennings to American documentarian Errol Morris. Jamaica to Ethiopia and capturing their experience on film. And it was Blackwell, one of the executive producers of Marley with Marley's son Ziggy, who then brought Macdonald in after Demme's project went stillborn. "[Demme] wasn't so interested in making a biographical film," MacDonald says. "So my pitch was that I read a lot about Bob over the years, I had seen a lot of stuff about Bob, but I felt I never knew the man, and that I'd like to make a film about the man. And that's what I set out to do. "I started fresh with no provisos of what I could do or not do," Macdonald continues. "I think by the time the film reached me, everyone was just very keen on getting it done. There's nothing in the film which was conceived or shot by [Scorsese or Demme]; it's all fresh stuff." 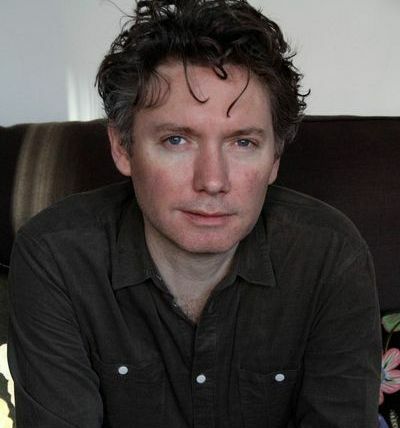 Macdonald began working on the film while still completing Life in a Day, his "snapshot of the world" documentary released last summer. 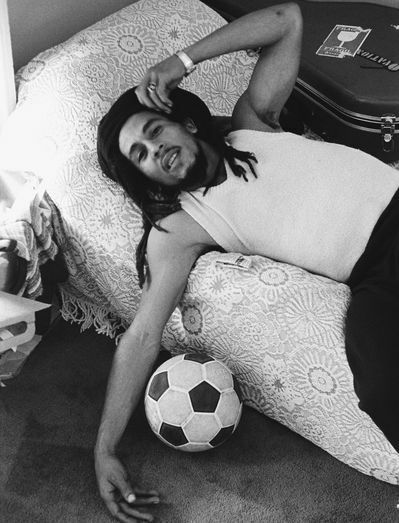 From the time he first met with producer Steve Bing, he says Marley took him about two years to complete. Probably the biggest challenge, Macdonald notes, was in finding archival footage. "There isn't very much," he explains. "It's not like most rock acts who were covered to death and there's millions of interviews. Partly because Bob comes from the developing world--and that's the key thing to understand here: There's not even a single photograph of him until he's 16 years old. There's no footage of the first ten years of his career. And later on, he didn't give many interviews-- and when he does they're not particularly insightful. He kind of resisted the whole notion of the interview. That was the challenge and that's why I chose the oral history approach of really building up an image of him through the words of others. "I had a great archive researcher [Sam Dwyer], who spent about 14 months looking for this stuff," Macdonald continues. "We scoured the earth effectively trying to find new things, trying to find home movie footage people might have taken, new photographs. And we did find some--not as much as we probably would have liked, but we did find some. We were also able to go back to original negatives on a lot of things, such as Haile Selassie's [the former Ethiopian Emperor considered to be the Messiah by the Rastafarians] famous visit [to Jamaica]. People had only seen black-and-white footage of it before, and we found the original color negative, amazing beautiful color footage. Those are the sort of pleasures you get in making this kind of archival-based film, coming across this kind of stuff. Also, the first footage I'd ever seen of Mortimer Planno, Bob's Rasta master guru--again, not being seen before. We tracked down an anthropologist who had done a project on Rastas back in the '60s and had filmed the stuff on a very early video recorder. Obviously, that was a lot of fun. "I think Bob is one of the major cultural figures in the latter part of the 20th century,"
Macdonald maintains. "His influence has been enormous. His legacy lives on and therefore I felt I had to--when I found new material, new footage or new songs, I wanted to put it in there. I wanted to make this film more than just a 60- or 90-minute kind of biopic. I felt this was a once-in-a-lifetime opportunity." There was also the issue of trying to separate the Bob Marley of legend from the truth. "I don't believe there is 'A' truth, but I feel like there's an inquiry into him as a man, as a real flesh and blood individual, as opposed to something which is just furthering the same mythology," Macdonald observes. "There are a lot of stories out there that are circulating in books and articles, that turned out not to be the case. We just tried to be very thorough, and very skeptical. We spent a lot of time researching Bob's family history, for instance. We spent a long time researching the Jamaican political history of the time and trying to put Bob into the context of his time." He adds, "I suppose I learned to have a healthy skepticism about rock 'n' roll journalism after making this film." Another major challenge for Macdonald was simply persuading people to talk to him. "I think about a third of the people in the finished film--and there's about 50 people in the film, so that's 15 or so--had never spoken before publicly about Bob. Some of the people because they were never asked, some of them because there was bad blood, some of them because they feel it's still too personal," he explains. 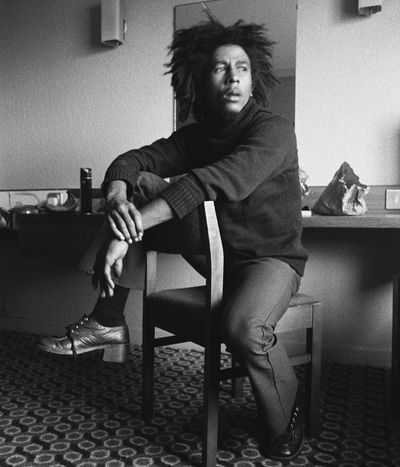 "There's also a lot of suspicion, particularly in Jamaica, to foreign crews coming in and wanting to do something about Bob Marley. You have to build their trust, and that takes a long time. "One shouldn't ever take no for an answer when trying to get [people] to talk to you, unless they literally slam the door in your face and tell you to go away," Macdonald adds. "If they leave you even the slightest little hint of a possibility they might do it, then they often will, and so you have to keep going." for anyone who wants to study Bob. I hope that all will be made available." Macdonald feels perhaps his greatest achievement in making the film has been in offering to Marley's many offspring some insight into the father they barely got a chance to know in life. "All the kids were very, very young when he died. They didn't know him and they've all said to me subsequently, We've learned about our father from the making and watching of this film." driven, determined, incredibly hard-working, incredibly ambitious, and that's why he got to where he got to." 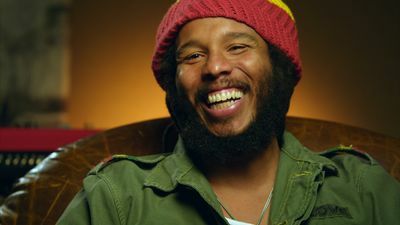 Marley made its world premiere at the Berlin Film Festival and its North American premiere at SXSW. Magnolia Pictures will release theatrically and on VOD on April 20. Ron Deutsch recently co-wrote the documentary OK, Buckaroos!, on the life of singer Jerry Jeff Walker. Interviews he did with shlockmeisters Herschell Gordon Lewis and David Friedman in 1980 were released for the first time as extras on the American Grindhouse DVD last July. He also teaches cooking classes in Austin, Texas, and writes for The Criterion Collection as Chef du Cinema, pairing films and food.